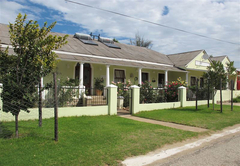 Mooimeisies Guest House is one of the Riebeek East guest houses and provides accommodation in 6 guest rooms for tourists visiting the Frontier Country region. 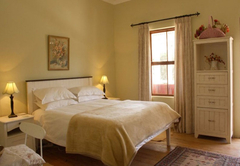 Located in the small town of Riebeek East in the Eastern Cape, Mooimeisies Guest House is a beautifully and lovingly restored Victorian home that offers accommodation in a homely and friendly environment. 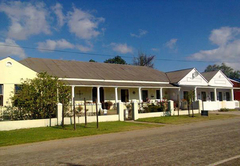 The guest house has six charming and comfy rooms; three of which have en-suite bathrooms and the other three rooms share a bathroom. 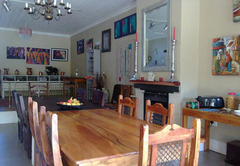 In addition to the six rooms, the guesthouse has a large lounge and dining room complete with a fireplace. The communal TV room is equipped with DVD’s and a library is available should you prefer reading to television. On those warmer afternoons you may enjoy taking a dip in the swimming pool. 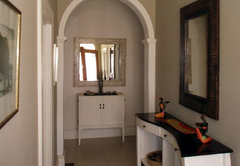 These are large rooms with double beds and en-suite bathrooms. 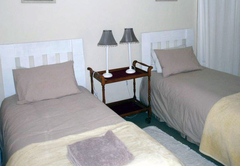 Twin beds are available should you prefer them. 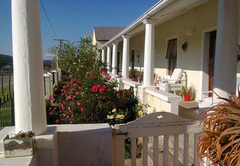 Two rooms have access to a balcony. Please note smoking is not permitted. 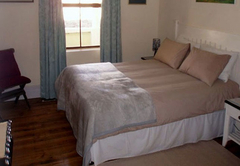 These rooms are also furnished with double beds and twin beds are available on request. 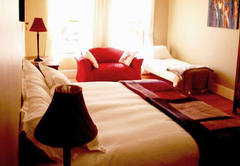 The rooms have access to a balcony and also feature a heater, tea / coffee facilities and hair dryer. Smoking is not permitted. A Continental breakfast is included in our daily rate. 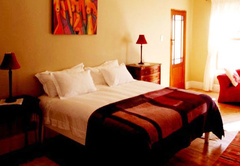 We are only 30 minutes from Grahamstown and 45 minutes from the Addo Elephant Park. Take a day trip into the university town or alternatively a day of game viewing is easy to achieve! Enjoy a few days with us … experiencing the peace and tranquility that country life has to offer.